Searching for Santa Fe Real Estate? WE’VE MADE IT EASY! It's important for Buyers and Sellers to use a website that provides the information needed to make the best decision when buying or selling Santa Fe Real Estate. 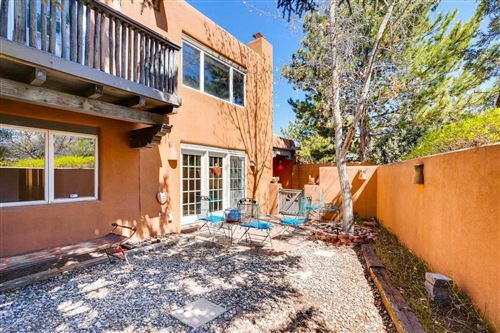 BuySantaFeRealEstate.com comes with almost a decade of work providing hundreds of custom searches in the neighborhoods of Santa Fe and communities of northern New Mexico. These custom searches take the work out of drawing custom shapes and wondering where certain areas are. Looking for a Pueblo style home? Luxury Homes in Santa Fe? Homes for sale in Abiquiu? We've made it easy to search for Santa Fe Real Estate and we hope you enjoy using our website. New Mexico Real Estate Group strives to provide the perfect platform to bring a first class real estate transaction experience to Buyers and Sellers. With over $26 million in closed transactions in 2018, New Mexico Real Estate Group brings a growth focused business philosophy and expertise in developing targeted marketing campaigns for Sellers and providing a world class experience for Buyers.